A good climb up knobby and slabby face to the right of West Crack. 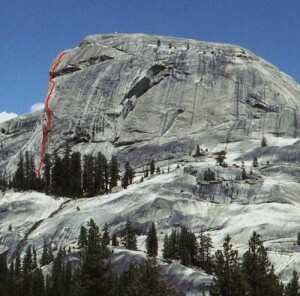 The anchor for this route is directly below the first anchor on West Crack, and it is often used by parties retreating off of West Crack. Which SuperTopo guidebooks include a topo for Witch of the West?